﻿ Best Price on Maya Internacional in Flores + Reviews! 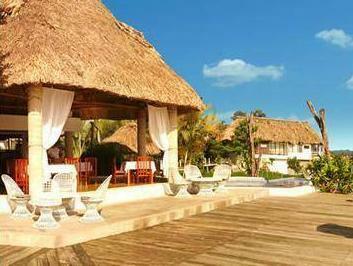 Set on the shore of Petén Itzá Lake, this hotel offers a private beach area and an outdoor swimming pool. Mundo Maya International Airport is only 5 minutes’ drive. 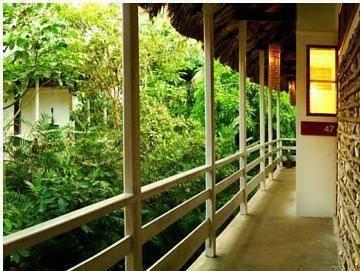 Hotel Maya Internacional offers rooms with private balcony and views of the lake and Flores Island. Each comes with a cable TV, air conditioning and private bathroom. Surrounded by lush vegetation, Maya Internacional features beach-style architecture with palm roofs. The restaurant features spectacular views, and serves international and local cuisine. The hotel also has a gym and a sun terrace with loungers and sunshades. The multilingual staff will be happy to provide tourist assistance and arrange activities like boat trips to Flores Island. Tikal National Park is approximately 40 minutes’ drive. Ceibal Archaeological Site is 49 mi away.